2. COST: $7 per person per activity ALL YOU CAN PLAY. **Cost does not include bowling shoe rentals! FINE PRINT: Offer subject to change without notice. Price does not include bowling shoes or tax. Activity time limited to space availability. Main Event reserves the right to place up to five people per lane. Lane time may be limited to one hour based on availability. Not valid with any other offer. Not valid toward group reservations. Guests under the age of 18 must be accompanied by a parent or guardian over the age of 25 in the Billiards area. 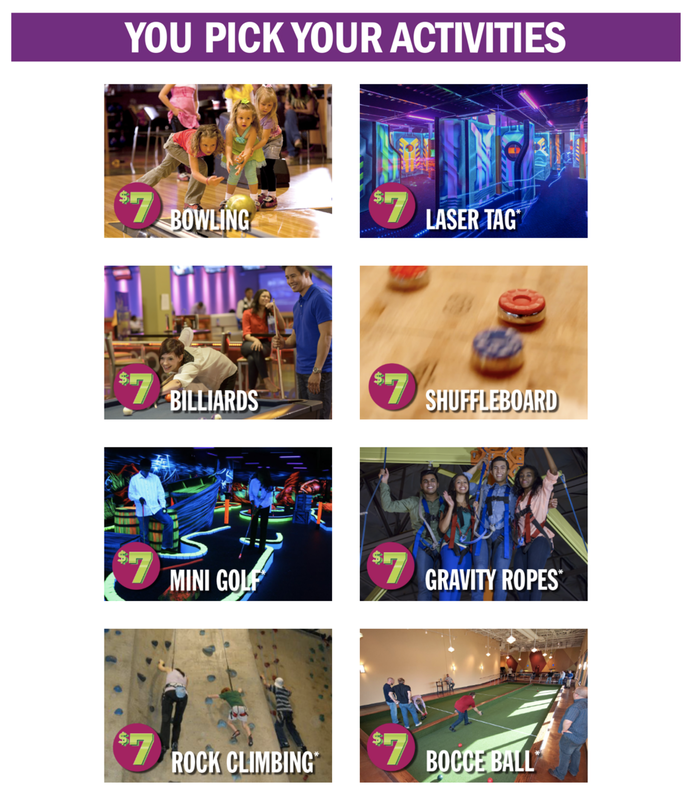 Laser Tag and Gravity Ropes (where available)have a height requirement of 48” to participate. Rock Climbing (Austin location only has a height requirement of 42” to participate. Valid day of purchase only.